Aphrodisiac Blend diluted in our Massage Base, ready to use. This deeply feminine blend is laced with the exotic aromas of Clary Sage, Jasmine, Neroli, Rose, Ho Wood, Sandalwood, Tangerine and Ylang Ylang. These exquisite oils help to boost confidence, stimulate hormonal responses and encourage and deepen sensuality and responsiveness in both partners. 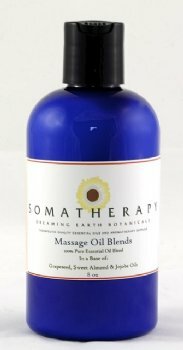 Blended with our massage base (Sweet Almond, Grapeseed and Jojoba oils).